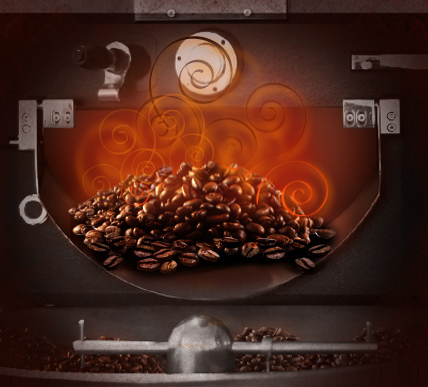 We’re at the forefront of coffee-roasting technology. At Custom Coffees, we don’t roast strictly by color or strictly by temperature. Our Variable Roasting Technology (VAT) is a state-of-the-art methodology that uses mathematical formulas geared to account for over 24 variables that affect coffee taste. Highlights the full flavor of coffee regardless of composition, density, and origin. We never add water during roasting or cooling. Some roasters add water to speed up the cooling process or to compensate for moisture loss during the roasting process. In either case, water can accelerate the decomposition of aromatic compounds through steam distillation, as well as the breakdown of various flavor components through rapid oxidation. We never grind chaff back into the coffee. Chaff is a layer of dried skin that hugs the coffee bean. Most of the chaff is released during the roasting process and is separated from the roasted coffee through an air cyclone. Some roasters will grind this harmless waste product back into the coffee to increase their profit margins. At Custom Coffees, we grind only the beans—never the chaff.